Bags of character, sterling service and super sandwiches, but be careful with the bill at this baps-and-tapas bar. Despite its vintage appearance, Entrepanes Díaz hasn’t been around long. It has, however, already earned a regular spot on my mental map of places to pop into if I’m goin on a tapeo (tapas crawl) in Gràcia. Its policy of only employing veteran waiters over 50 years old adds an instant touch of class. The black-and-white photos on the walls and excellent service combine to create an old-fashioned ambience that reminds me more of Madrid than ultra-modern Barcelona. Its name is a Castillianized spelling twist on the Catalan word for sandwiches (entrepans) combined with the surname of owner Kim Díaz, who also holds the keys to Bar Mut on the other side of the street. Like Bar Mut, Entrepanes Díaz is excellent but not cheap. Is it worth it? Depends on your budget, but I think so. The bread (from renowned local baker Forn de Sant Josep) is excellent and the sandwich fillings are the work of Bar Mut’s talented chef Victor Lema. Portions are undeniably small for what you pay. But the quality is high, the wines (many of them natural) are interesting, the cocktails are mixed correctly and the silver (haired) service is sterling. I like the food, love the hiring policy and recommend Entrepanes Díaz highly – as long as you’re prepared for a slightly pricier bap than you’re probably used to. Entrepanes Díaz: Carrer de Pau Claris 189, 08037 (Dreta d’Eixample/Gràcia), Barcelona; Tel. (+34) 934 15 75 82; Metro Diagonal. 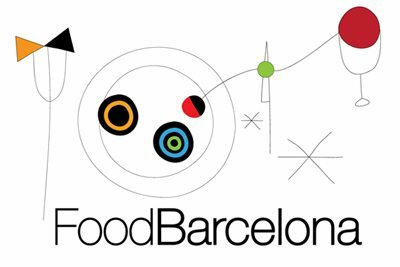 Find Entrepanes Díaz on the FoodBarcelona map of Barcelona restaurants.